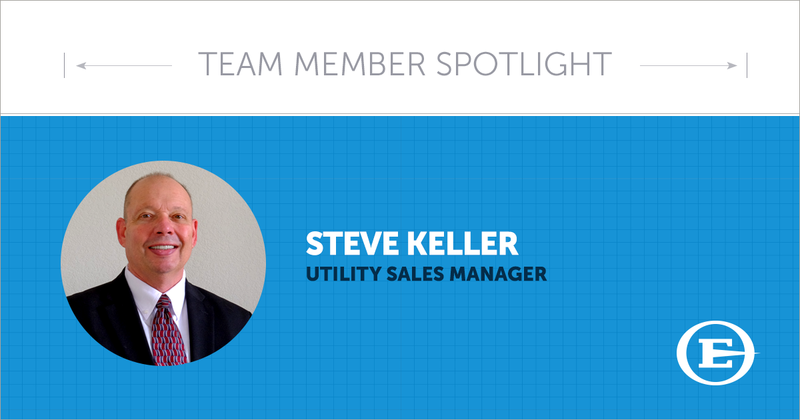 Since joining the team at Easter-Owens, Steve most enjoys the opportunities to meet and help new customers, as well as being quickly responsive to them and their needs. He’s most excited about the pursuit of the prospect, understanding exactly what their issues are, working with them to construct projects perfect for them, and taking their needs all the way to the end solution. When asked how he would describe Easter-Owens in three words since his hiring, he quickly and confidently replied with "quality, integrity, and reputation." Build solid relationships that benefit all involved. Always continue learning and passing on new and better ways to benefit our customers. The next time you run into Steve, be sure to ask him about his about his time as a member of the Professional Rodeo Cowboys Association and his performances at the National Western Stock Show. Do you want to work with us on a project? Request a quote today and we can help you realize the best solution for your company. Metal fabrication solutions, painting services and electrical engineering capabilities. Thinking about getting into business with Kevin and Easter-Owens? Easter-Owens offers over 60 years of internationally recognized experience and services. We specialize in power distribution equipment, custom metal buildings, industrial control panels, electrical enclosures, and security electronics. Our company prides itself on providing high quality, NEMA standard product. Any project, no matter the size, scope, or distance, is expertly managed by professional and seasoned personnel. Please feel free to contact Easter Owens directly with questions.